There are many approaches to doing fine work. 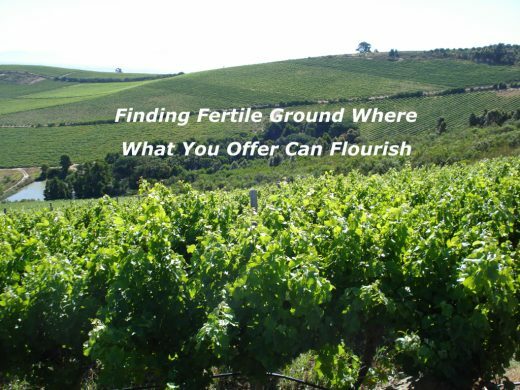 One approach is to find fertile ground where the things that you offer are able to flourish. There are three steps you may wish to consider towards making this happen. You can clarify the specific things that you want to offer and how these will benefit people. You can clarify the kinds of people and places that might be open to the things you offer. You can do the work necessary to enable what you offer to flourish. 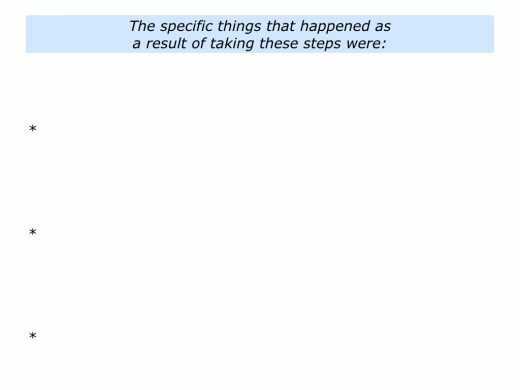 Looking back, can you think of a situation when you took some of these steps in your own way? What did you do to enable things to flourish? You may have started by building on your strengths. You may then have translated these into a clear offering – such as a product or service – that could help people to succeed. Depending on your strengths, you may have chosen to work in the field of coaching, cooking, teaching, sports, technology, customer service, crisis management or whatever. You may then have crystallised how what you offered would benefit people or solve challenges they faced. 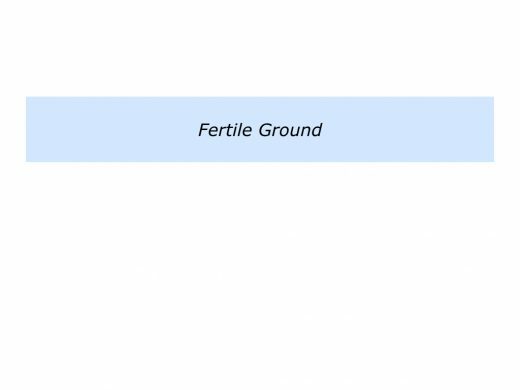 What did you do to find fertile ground? You may have identified your perfect clients – the kinds of people with whom you worked best. 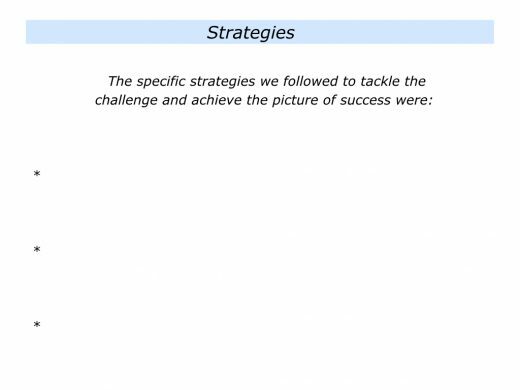 You may have clarified the challenges they faced and how you could help them achieve success. You then connected with these people in ways that fitted your values system. What did you do to enable things to flourish? You may have clarified people’s goals, made clear working contracts and delivered some early successes. 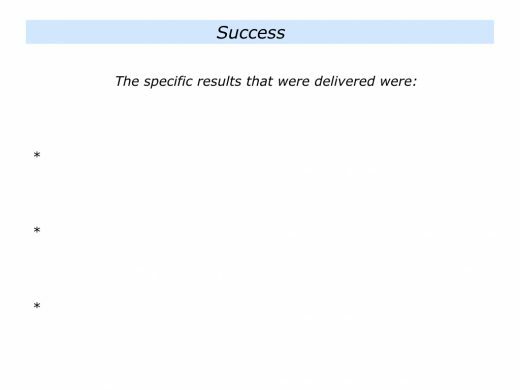 Providing great service, you may then have done whatever was required to achieve their picture of success. 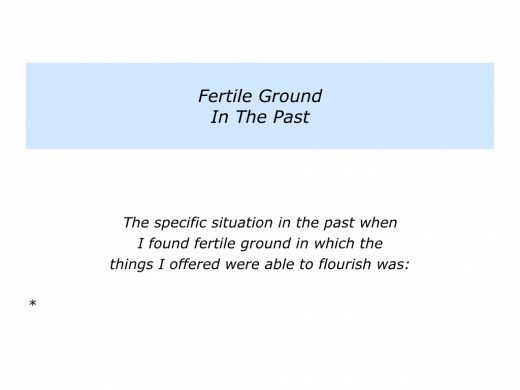 Describe a specific situation in the past when you found fertile ground in which the things you offered could flourish. 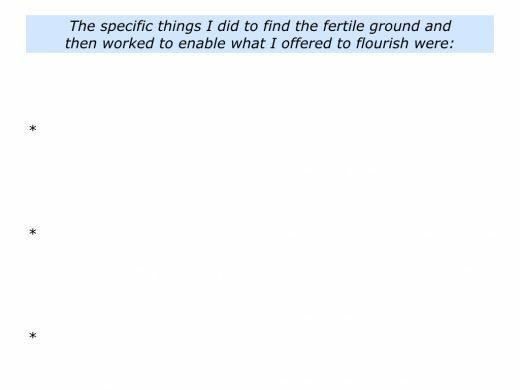 Describe the specific things you did to find the fertile ground and then work to enable things to flourish. Many people are passionate about the services or products they offer. Whilst believing in what they do, they often face the following challenges. How can I find people and places that may be interested in the things that I offer? How can I get paid for doing the work that I feel passionately about? People buy success, not the theory of success. People buy benefits, not features. What will the product or service do to solve their problem? How will it make their life easier? How will it help them to succeed? I will help your people: a) To understand themselves better; b) To understand other people; c) To be aware that it takes different personality types to make up a good team. I will provide practical tools that your people can use: a) To become more self managing; b) To manage upwards and deliver their agreed targets; c) To make good quality decisions and ensure the company achieves success. If they don’t start with the problem, then I know they are green. That, and coming in without any type of pitch deck, just to ‘talk’ about their company. 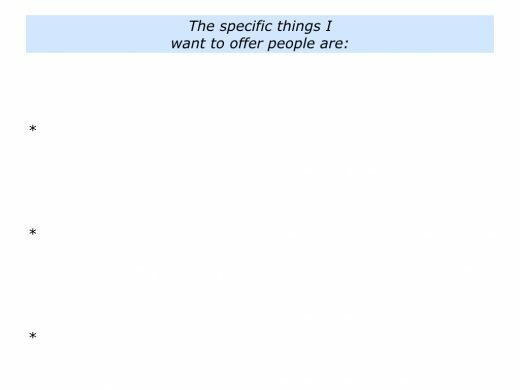 Describe the specific things that you want to offer to people. 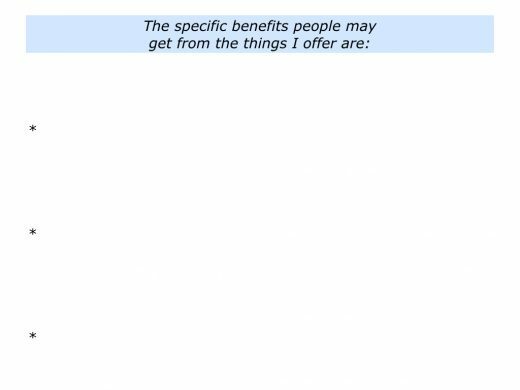 Describe the specific benefits that people will get from the things you offer. 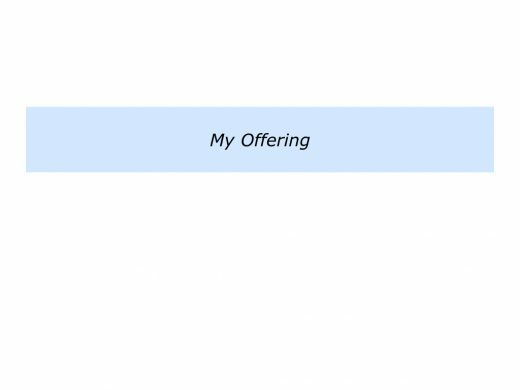 Imagine that you are clear on your specific offering. The next step is to find potential sponsors. These are the people and places that may be interested in how you can help them to succeed. How to find such people? One approach is to start by clarifying your perfect customers. Who are the kinds of people with whom you work best? Who are the customers who give you positive energy? We often work best with people who share similar professional values. You will, of course, continue to do a professional job with all clients. 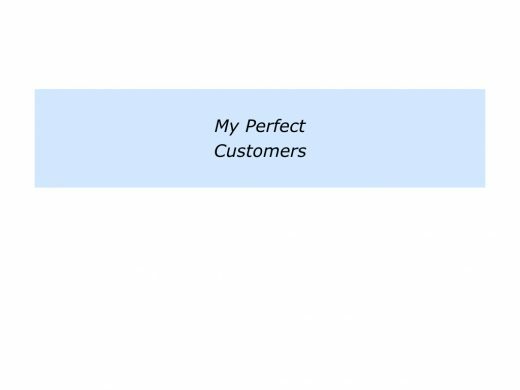 The key to building a long-term business, however, is to work with your perfect customers. Sometimes these people work in a certain sector. They may also be leaders, managers, front line workers or whoever. More often they have certain personality characteristics which make it rewarding to work with them. Certain kinds of people may, of course, be attracted to a particular sector. This means we may spend a lot of time working in that field. Bear in mind also that there will be people with whom you have certain kinds of clicks. There may be a personal and professional click. You share similar values and have a similar view of the world. Connection is easy, because you start from common assumptions. There may be a professional click. You share similar professional values. Whilst having differing personalities, you both strongly believe in achieving a specific professional goal. There may be no click. Sometimes you will be in work situations where there is no connection with the other person. You will then aim to be super professional and behave in a diligent way. Describe the specific kinds of customers with whom you work best and the characteristics of these people. 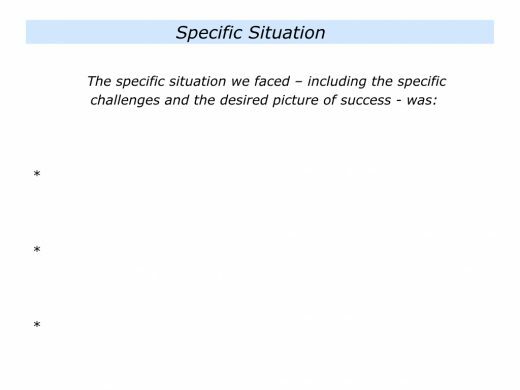 Describe the specific challenges these types of customers face and their pictures of success. Describe the specific things you can do to use your strengths to help these people to achieve success. Most of our work normally comes from our network. These are the people we know or have done work for in the past. Such people may also recommend us to others. 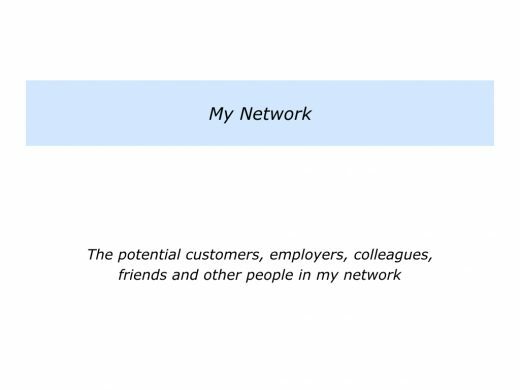 Every job I have had over the past 20 years has come from my network. Twice during that time the company I was employed by got taken over and my job disappeared. So it was then time to reconnect with people who knew what I could deliver. The hard part was getting started. I spent masses of time visiting people. I learned that the conversation should be about them and their organisation, not about me. I keep sharing practical tools they could use to reach their goals. 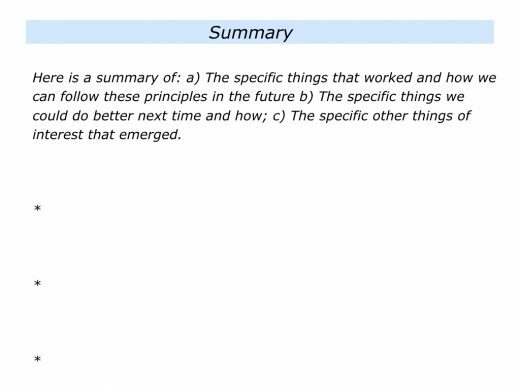 Every visit I followed up with an email framing possible ideas they could use to tackle specific challenges. Several times this led to contract work. This is how I have got my last two jobs. I started by doing pieces of project work, then moved into full-time employment. Describe the specific things you can do to give to these people and help them to succeed. There are many ways to explore opportunities to find or create satisfying work. One approach is to do the old exercise called Find A Need And Fill It. Bearing in mind the people you know in your network – or other potential employers or customers – it invites you to do the following things. Describe their present or potential future needs. Describe the specific things you can do to fulfil these needs. Here is a framework you can use for exploring these themes. 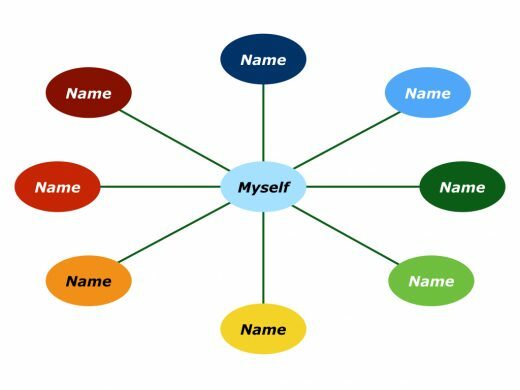 You can then focus on how to connect with these people and help to fulfil these needs. Certainly this was how people found work during the recession. Some people who lost their jobs tried to figure out what had happened and looked for somebody to blame. Others adopted different strategies when pursuing their job search. I am going to spend time polishing my CV and registering with recruitment agencies. Then I am going to reconnect with people I know. That is something I should have done before, but I am not good at promoting myself. I know my strengths and there are lots of jobs out there where I can help people. You can’t tell me that every project and every piece of work in the country is on time, on budget and on course to reach its goals. Somewhere there are bound to be unsatisfied customer needs. So I am going to get out there and help other people to succeed. Person B threw themselves into helping people in their network. Within three months they had been offered a full-time job running an important project. There are many ways to reach people who may be open to what you offer. You can go the conventional route, such as through job applications or your network. You can also create an attractive website that builds credibility and then go out to do good work that helps people to succeed. 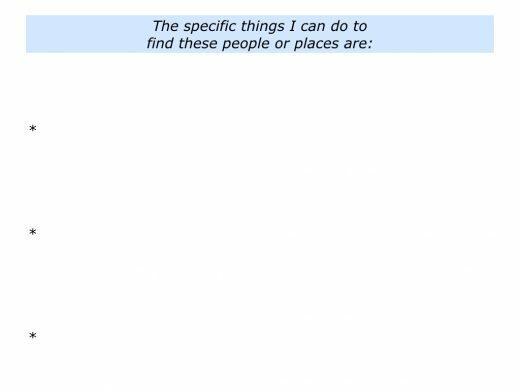 Describe the specific kinds of people or places that may be open to the things you offer. 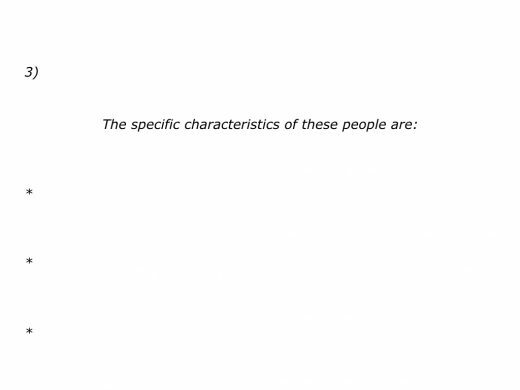 Describe the specific things you can do to find these people or places. Imagine that you have got the opportunity to do the work you feel passionately about. You may be helping people to develop their skills, provide great customer service, improve internal processes, complete a project or whatever. Great workers aim to set up the work to succeed. How to make this happen? Bearing in mind what you can control, it can be useful to go make clear contracts with the sponsors. You can meet with the key stakeholders and clarify the real results they want to achieve. You can translate these into an agreed picture of success. You can clarify the agreed principles – the overall Dos and Don’ts – that it will be important to follow on the way towards achieving the picture of success. You can tell the stakeholders how you will proactively keep them informed about the progress being made and also the quick successes you will deliver. You can do superb work, provide great service and deliver the agreed picture of success. 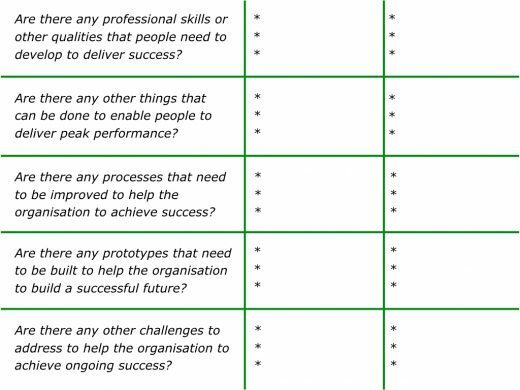 During the 1980s I had the opportunity to do work with The ForeSight Group who took many of these steps when working with companies. They ran some of the world’s first programmes on Intrapreneurship. Below is an introduction to The ForeSight Group’s approach. You can discover more via the following link. Looking at the way venture capitalists engage on the open market to support entrepreneurs prompted The ForeSight Group in 1979 to develop programs to support internal entrepreneurs, within large organizations. A new concept was born to help speed up the process of innovation and change in large companies, drawing on the energy and drive of internal entrepreneurs – intrapreneurs. The idea was to create a win-win situation for companies and intrapreneurs. The companies would keep their internal entrepreneurial talent for creating new businesses and the intrapreneurs would be able to build on the established brand names and networks of the large company and share in the success at limited risk. 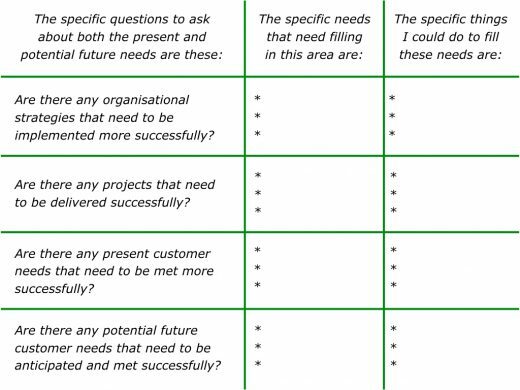 The ForeSight methodology helps companies to speed up the process of bringing new ventures, products and services to market and of implementing internal projects. The Foresight Group went through the following process to make this happen. They shared their expertise and worked with companies that were serious about creating intrapreneurs. They outlined the intrapreneur approach to interested employees in the company. They did in-depth interviews with employees who were interested to make sure these individuals had the required entrepreneurial skills. They educated and enabled these intrapreneurs to implement their ideas and deliver success. They produced success stories that showed how the intrapreneurial approach could help companies to achieve ongoing success. You will have your own approach to ensuring that what you offer flourishes. One vital factor, however, is to produces some quick successes. This reassures the key stakeholders, builds momentum and also buys you time. 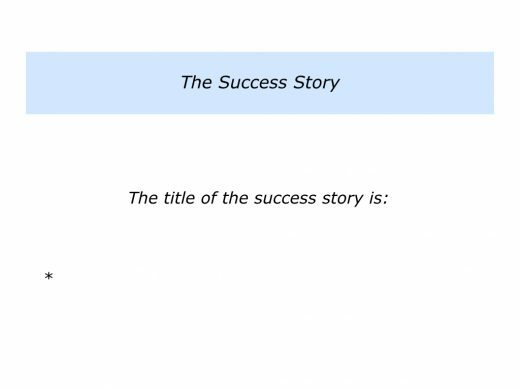 It is also useful to keep producing success stories. One approach is to make sure that these show your colleagues and customers in a good light, rather than be about you. This approach is moral and also helps to build goodwill. Different people use different frameworks for sharing success stories and showing what good looks like. Here is one format that people can use. There are many approaches to doing fine work. One approach is to clarify what you offer and find fertile ground. It is then to clarify the sponsor’s goals, perform superb work and deliver the agreed picture of success. Taking these steps will help to enable what you offer to flourish. 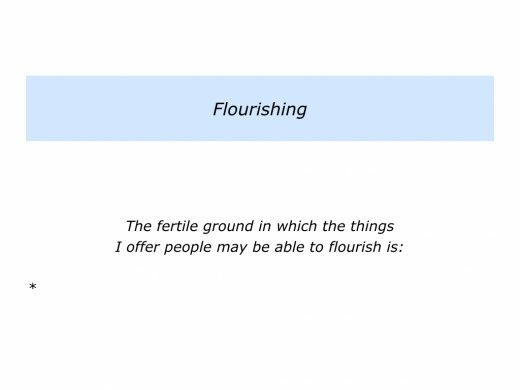 Describe the fertile ground in which the things you offer people may be able to flourish. Describe the specific things you can do to enable the things you offer to flourish in this fertile ground. 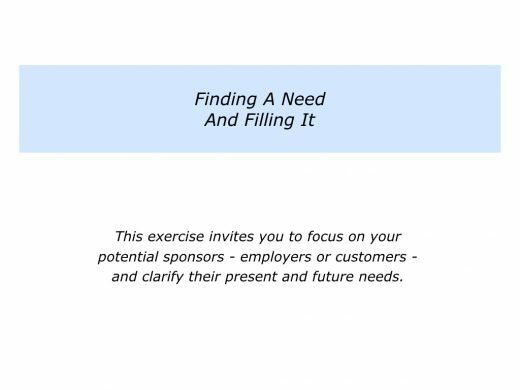 Describe the specific benefits of enabling what you offer to flourish in this fertile ground.